Our work for new guesthouse at Sanjo almost completed. 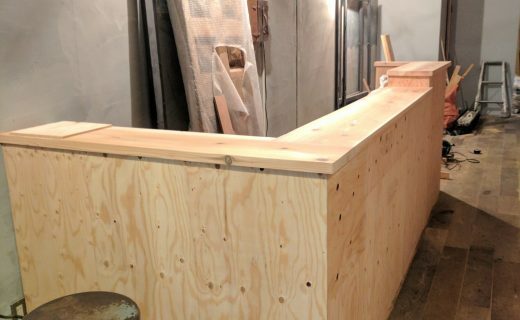 Hand-made reception table and cool bath tub are already put. Can’t wait for opening!